LoA_Take the Challenge of CS Resource Tycoon! Description: Collect the required resources to win Fire Queen, and many other rare items! - Players can gain points by collecting required resources during the event, i.e. Angel Tears, Runestone, Blessed Stone, Seraph's Stone, Aegis Shard, Soulstone, Gold, Element Crystal, Enchanted Stone, Gems and Gem Enhancement Stone, Awakening Stone. - Each day at 14:00 and 22:00 the point leaders will be determined and prizes will be set accordingly. Prizes include Soulstone, Blessed Stone, Vouchers, Synth Scroll, Seraph's Stone, and different levels of Common Gem Chests. 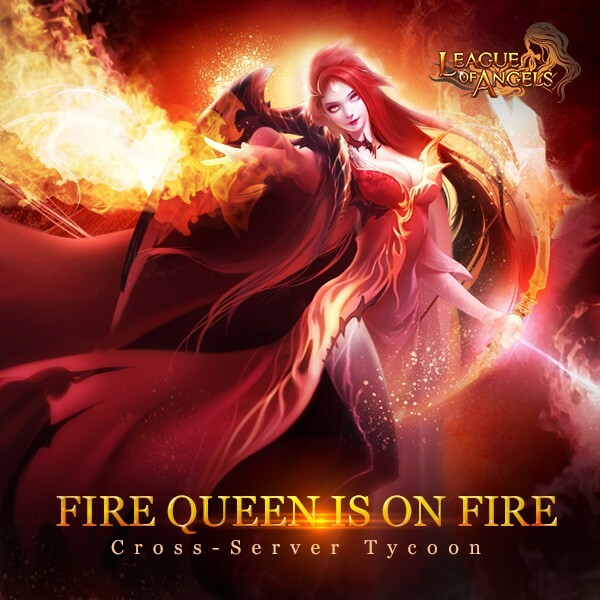 PS: Tycoon Certificate is the honorable item to swap for Fire Queen. Swap event will be issued in hot events. Group Ticket x500, Gem Enhancement Stone x500 and Enchanted Ore x300. Description: Log in every day to win Group Ticket, Quiz Voucher, and Lucky Capsule! Description: Use your tycoon certificate to swap for Angels, Mounts and Gems. Description: Use your tycoon point to exchange certain items. Rewards of servers newly opened within one month differs from those of previous servers. More exciting events are coming up through Apr 23 to Apr 27 (server time), check them out in the in-game Hot Events menu now!